Karen studied International Economics and Accounting in SuZhou and started her accounting career upon graduation. In 1996 she decided to further her study and was accepted by the NangYang Academy of Fine Arts (NAFA), Singapore. In 2003 she earned her Bachelor of Arts (HONS) in Fashion from Northumbria University, UK. Karen became Singapore Permanent Resident in 2004 and was married in 2007. Karen started her career in Singapore in the apparel industry, specializing in fashion merchandising and marketing. It was part of her job to communicate with global business partners in both English and Chinese. Her excellent communication skills enabled her to coordinate with people from different levels with diverse cultural backgrounds, ranging from American Apparel suppliers to Asian manufactures. In an industry where effective communication skills are critical to put forward creative design concepts into quality production, Karen always ensures that her Chinese and English speaking counterparts are talking in same understanding. Karen is an effective facilitator, instructor and negotiator. Karen worked as a part-time Chinese tutor when she was a student in Singapore. After she left the apparel industry, she resumed tutoring with a tutor consultancy company. 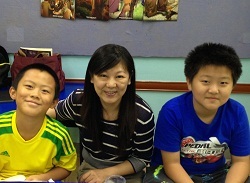 She is especially effective in helping English-speaking primary students to understand and master Chinese language. 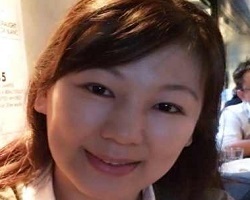 In 2014 she left the consultancy company and became an independent full time Chinese tutor. On weekends Karen is involved with the Chinese ministry in an English Church.